Most exercise programs can be modified to accommodate pregnancy, but there are certain prenatal exercises that specifically help to strengthen your body in preparation for childbirth, postpartum recovery, and beyond. Our Small Group Prenatal Fitness program is designed to meet the unique needs of expecting moms—no previous exercise experience is required. 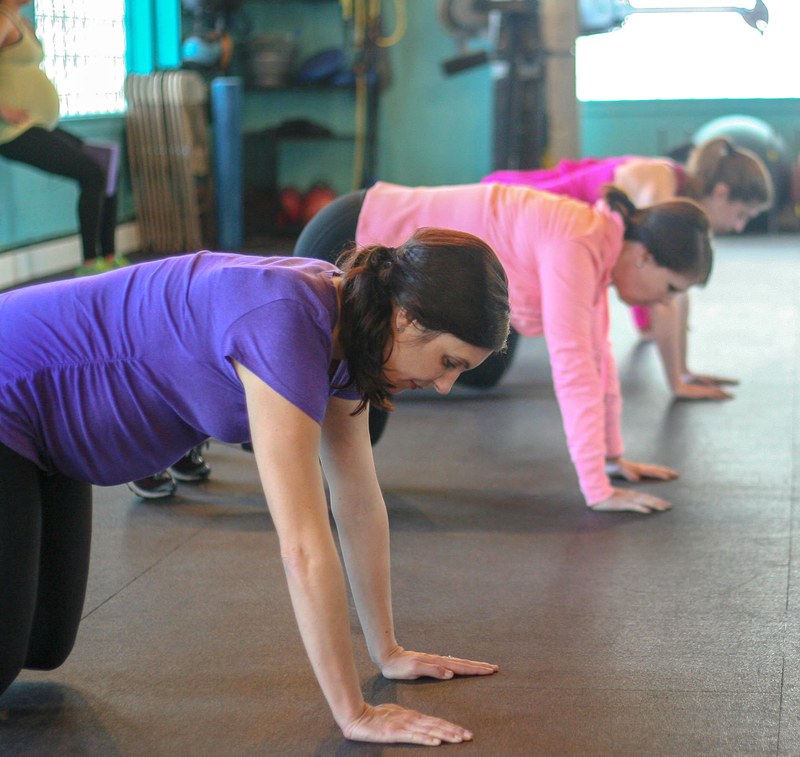 Led by an experienced personal trainer who specializes in exercise during pregnancy, these small group classes provide training that will help prevent or minimize the physical issues many moms face, including abdominal wall separation, pelvic floor weakness, back pain, and more. Yes, prenatal yoga (our local favorites are Yogaview and Bloom), pilates, and other workout programs can be beneficial for expecting moms. But only Active Moms’ Club Prenatal Fitness sessions provide the expertise and specialized training that address the physical demands of pregnancy to provide optimal benefits for both mom and baby. Plus, you’ll have the opportunity to get to know other pregnant moms and develop friendships that could lead to future play dates! The earlier in your pregnancy you start training, the more benefits you’ll see. Get started now to give yourself and your baby every advantage. Each 60-minute session is limited to two women to eight women to maximize personalized attention. Check out these testimonials from some of our moms to learn more. *Unused sessions from this pass will be forfeited unless a medical note to cease exercise is presented. No previous exercise experience or knowledge is required. This is personal training in a small group setting. Participate as frequently as you like. Designated class time must be reserved on AMC’s Registration and Scheduling website. Space is limited to two to eight women in each session. We reserve the right to cancel a class two hours prior without sufficient attendance. Participants must obtain a clearance from their physician prior to beginning an exercise program. How do I get started with prenatal training? Go to AMC’s Registration website and reserve space in a ‘test drive’ training session for just $25. Prefer to talk with the Coach first? Call or email Cassandra and she can give you guidance on how to proceed. Waiver can be faxed directly to AMC at 773-687-9905, or bring it with you to your first paid training session.